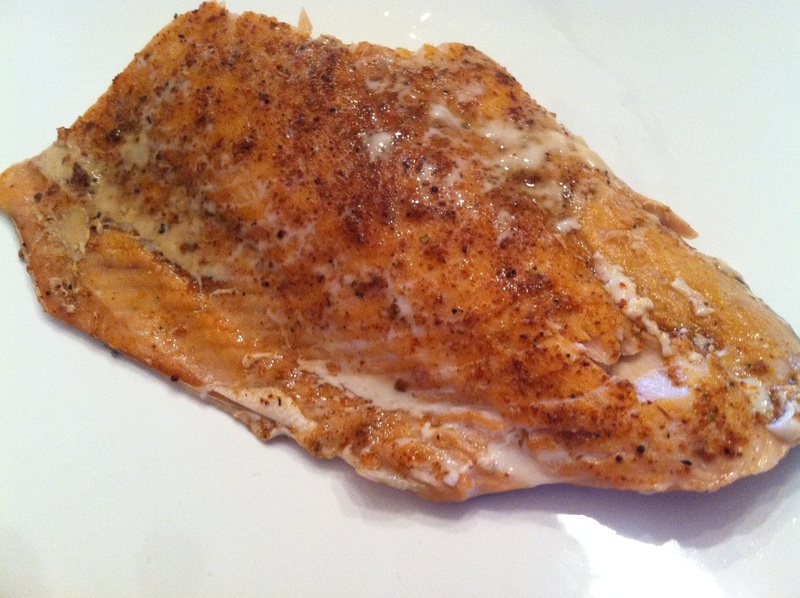 Baking fish in the oven is one of the most simple and time efficient meals. Simply thaw the fish if needed, add a seasoning blend and bake. There are many dry seasoning blends available that can bring unique and bright flavors to a meal without the addition of calories or salt. McCormick's Perfect Pinch seasoning blends are the easiest to find at the grocery store but are manufactured by a huge company and sometimes have questionable ingredients. I do encourage you to buy organic and nontraditional brands when you have the opportunity. If you are trying to decrease your sodium intake anyone of the Mrs. Dash blends are great options as well. Salt and pepper is simple way to prepare fish as well. Any fish can be prepared using this method and can offer unique flavors and textures. Prepare a large portion of vegetables to serve as side to add additional nutrients to the meal. Directions: If the fish is frozen thaw the in the refrigerator overnight if possible. Otherwise thaw the fish in the sink under cool running water. Preheat the oven to 350 degrees and line the baking sheet with tin foil. Dry the fish with paper towel and place on a tin foil lined baking sheet. Season generously with the seasoning blend. Once the oven has reached temperature bake the fish for 10-15 minutes depending on the thickness of the fish. The flesh will become flakey when it is finished.